Yesterday, the Pittsburgh Post-Gazette published an op-ed I wrote in response to the Pennsylvania Liquor Control Board’s recent decision to allow six packs of beer to be sold in select gas stations throughout the state. In the piece, I discuss why this move to “Free the Six Pack” deserves little fanfare and argue that an earnest push for privatization is what Pennsylvanians, especially wine lovers, really want. 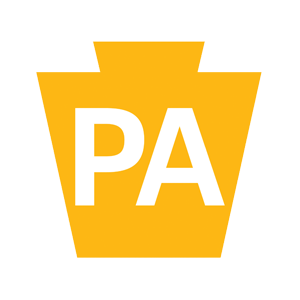 The Pennsylvania Liquor Control Board has now approved the sale of six packs in select gas stations throughout the state, a move supported by Gov. Tom Wolf. While this effort to “Free the Six Pack” makes for good press, it’s little consolation for consumers in the Keystone State who continue to live under what is certainly the most archaic system of alcohol regulation in the country. The inanity of Pennsylvania alcohol regulation is felt most potently by wine consumers. Because all wine is sold in state-run stores, because the LCB controls which wines are allowed to be sold, and because legal hoop-jumping or flat-out restriction prevents consumers from having wine shipped directly to their doors from out of state, they are left with little in the way of choice. For the casual drinker, the status quo of endless Yellowtail and Franzia is just fine; but for those who wish to lunge headlong into the world of oenological possibility, it’s maddening. Those who desire novelty go to great lengths (most technically illegal) to attain what they’re looking for. They cross borders, stuff suitcases and even have prized bottles shipped to out-of-state family and friends, who graciously house them until they can be retrieved. None of this is easy, but there really is no other choice short of moving out of Pennsylvania. There are several options available to Pennsylvania residents who wish to purchase wine not found in a state-run store. First, there’s the third-party shipping route. This option involves some kind of transit alchemy whereby an out-of-state winery can ship directly to the consumer’s doorstep in Pennsylvania. Doubtless the LCB is getting its tax from someone en-route, but it doesn’t really matter because third-party shipping is expensive and most wineries don’t bother offering it. Check out the rest of the piece on Pittsburgh Post-Gazette online!